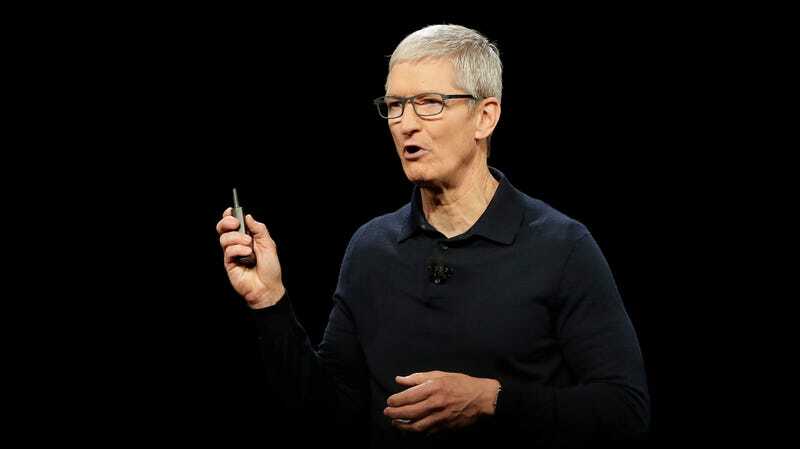 Apple CEO Tim Cook took some time from his busy WWDC 2018 schedule on Monday to clarify something: He does not intend to subject us all to the kind of mind-numbing speculation about political ambitions previously cultivated by other tech billionaires like Facebook’s Mark Zuckerberg. Here’s where one might point out that Cook spent a huge amount of time lobbying for massive corporate tax cuts and sweetheart repatriation deals that laid the way for Apple to proceed with one of the biggest stock buybacks in history, cozying up to the White House and the GOP in the process. He also hosted a fundraiser for Republican Speaker of the House Paul Ryan and has written checks to candidates on both sides of the aisle. That’s not apolitical, and is in fact evidence that Cook knows exactly how to grease the wheels in DC. Whether or not Cook secretly wants to hold that kind of office—and why would he, given his current work situation is so much better—he certainly seems smart enough to realize that political bets by monied brethren like liberal-leaning Starbucks CEO Howard Schultz are likely to be weighed down with similar business baggage. (In Schultz’s case, that’s treatment of workers.) And despite time-and-again rumors that some rich guy like Michael Bloomberg will launch an ill-advised attempt to save us all with a technocratic third-party run, there simply isn’t any appetite for that kind of thing outside their circles of yes-men and cash-hungry political consultants. In any case, Cook dodged a real bullet when he placed no further than the short list for Hillary Clinton’s vice presidential nominee. Ambitions for office are always a gamble, and Cook’s resume as the CEO of one of the world’s most profitable companies looks pretty robust as-is.